We've all played a course we expected to be great only to be let down. Not only is it devasting, but it often comes at the cost of a stout green fee. These courses don't sufficiently meet my requirements for greatness; Setting, Conditioning, Variety, and Fun in relation to their respective rankings. #9 - Winged Foot Golf Club (West) (NY) - Uninspiring, mostly flat, terrain throughout much of the course that is characterized by tree lined holes that are generally long and difficult. The green sites are brilliant but those are easily resproduced on any piece of ground as are the individual hole shapes and characteristics. Winged Foot is clearly riding its impressive championship golf history into the Top 10 of Golf Digest's rankings, but the golf course itself isn't inspiring enough to garner such lofty accolades. 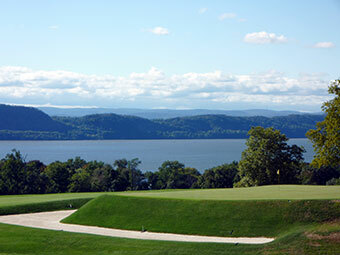 #16 - Oak Hill Country Club (East) (NY) - I think the arguement could be made that Oak Hill's East course isn't even in the top 10 of New York, let alone 16th in the country. 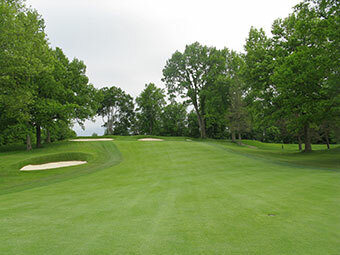 From a historic and facilities standpoint, Oak Hill certainly is elite but from a pure golf course standpoint this tree lined course doesn't feature special enough holes to be ranked this high. #17 - Oakland Hills Country Club (South) (MI) - You don't have to get very far down this list to see a theme; most major championship host courses are overrated. Raters fall in love with the history, clubhouse, facilities, and the convenience to large metro areas they often travel to which feeds into the perceived greatness of the club. Strip all of that away and look purely at the golf course and at Oakland Hills you will find a solid parkland track that is an excellent test but lacks the uniqueness to be ranked this high. As a side note, I was on my 'A' game at Oakland Hills and shot a 75 from the tips which felt pretty good considering the horror stories I had heard of playing "The Monster." #33 - The Olympic Club (Lake) (CA) - The famous Lake course at The Olympic Club is the ultimate punishing round of golf for players who can't shape their ball at will. 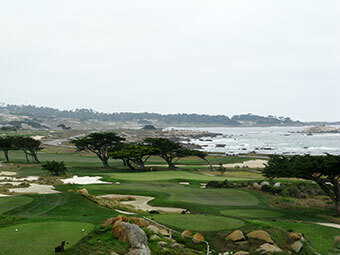 With towering Monterey Cypress trees and thick rough lining the bending fairways there is little room for error. Only six fairway bunkers on the course which is a testament to how difficult it already is to find the fairways given the shape and slope of the short grass. #35 - San Francisco Golf Club (CA) - Charm, impressive bunkering, and a wicked cool old school locker room is what raters become enamoured with in order to rank SFGC so high; plus it doesn't hurt that the course is one of the easiest on the Top 100 list and gives raters warm fuzzies when they see their score at the end of the day. #39 - Medinah Country Club (No.3) (IL) - Being a member at Medinah would be awesome with three courses to pick from and perhaps the most impressive clubhouse in the country. That being said, #39 is much too high for a course that, like Atlanta Athletic Club, features three par 3s that look and play very similarly and includes only 1-2 other holes that are compelling from a design standpoint. Tournament history and the prestige of being located in one of America's largest cities boosts Medinah's No.3 course higher in the rankings then the track deserves. #41 - Baltusrol Golf Club (Lower) (NJ) - A consistent host of major championships since opening its doors, Baltusrol oozes golf history from every part of the property. While the course delivers a firm test to players, the course lacks the character in the design and property to set itself apart from other Top 50 courses. The signature par three 4th hole has received national acclaim, but I think a lot of that has to do with being one of the "first to the party" on designing a one-shotter that plays over a pond. 100 years ago it was a unique and attractive feature; today I can't count how many par threes I've played over water. 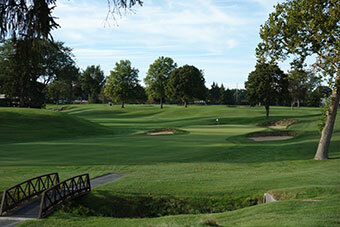 #69 - Inverness Club (OH) - Here we are back at a major championship course that is riding its tournament history to greatness in Golf Digest's rankings. I'm fully convinced this course would barely be a blip on the national radar if it weren't for the professional history found at Inverness. I will say that holes 4-7 are fantastic, but most players would never identify this course as a Top 100 track in America if blinded of the history. Granted there are many subtleties to be discovered on the course, but what course doesn't unveil hundreds of subtleties after playing it over and over? #85 - Flint Hills National Golf Club (KS) - Tom Fazio almost always does a great job with his courses and the seemingly endless budgets to work with, but Flint Hills isn't among his elite designs. 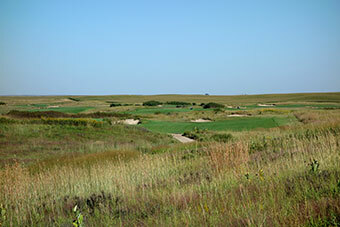 The course is kept in great shape and features a solid variety of holes and water features but I think it is only a matter of time before Flint Hills is no longer on Golf Digest's Top 100 list. It is a nice course, but I also think this course could be recreated relatively easily at numerous locations across the country. There is a reason this course doesn't show up on Golf or Golfweek's Top 100 lists. #93 - Crooked Stick Country Club (IN) - I'll take my hat off to Crooked Stick, it has an awesome name and manages to hang around the Top 100 every year even when I'm ready to count it out. Made famous as the spot John Daly burst onto the scene with a PGA Championship victory with his "grip it and rip it" mentality, Crooked Stick is the spot Pete Dye built his home and can keep a watchful eye on the course. 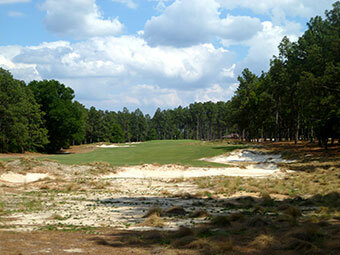 Holes 6 and 8 are the most attractive on the property but are carbon copies of other Pete Dye designs. Beyond that, the course felt a typical residential country club that every state in the union has a least a dozen similar offerings of. 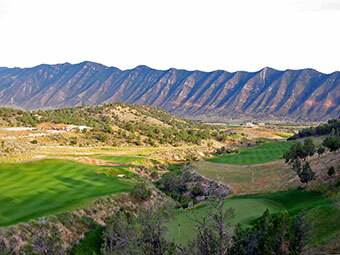 #27 - Huntsman Springs Golf Club (ID) - Completely manufactured with sand hauled in by the train load on a completely flat piece of ground, David McLay Kidd tried to create a links experience in the shadows of the Teton mountains. The result is a mixture of greatness and failures on John Huntsman's $30 million plus budget that is the centerpiece of his recreation destination. Firm and undulated terrain, hidden hazards, and gnarly bunkering characterize the layout that is a unique offering in Idaho for sure, but #27 is an embarrassingly high ranking for Golfweek to publish for a course that doesn't even sniff the Top 100 on other national magazine lists and isn't even regarded as the best course in Idaho. 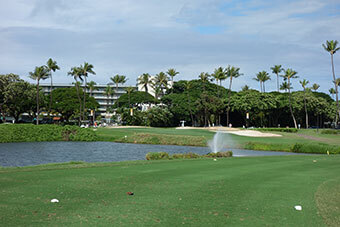 Royal Ka'anapali (Maui, HI) - Frequent visitors to the Hawaiian Islands often identify Maui as the best all around island to visit, however a trip to paradise need not include either of Ka'anapali's courses. 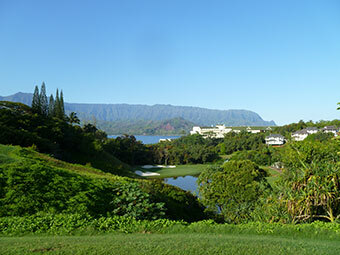 The former RTJ Sr. gem has sold its soul in the name of commercialism by trading in panoramic views of the Pacific Ocean for scenary consisting of towering hotels, condominiums, and resort buses all while playing on sub-par turf conditions. Hawaii should feel like an escape from reality; not a reminder of it. Reunion Resort (Nicklaus) (FL) - The worst Nicklaus course I've ever played bar none. The holes feel forced into the property since it seems clear the developer was more worried about residential home sites than creating an exceptional golf course. With the early holes lined with homes and the closing holes playing along the traffic laden I-4, the Nicklaus course should be passed up in favor of the other two tracks at Reunion Resort. TPC Harding Park (CA) - Other than the finishing hole that plays over the water, how hard it is to remember any other holes at Harding Park? The renovation improved the bunkering and conditions of the track for sure and the Monterey Cypress trees are my favorite species for a golf course, but the $176 weekend green fee and $101 twilight rate is too rich for my blood on a course that is lacking interesting holes. 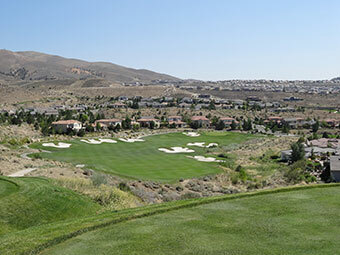 Bali Hai Golf Links (NV) - Just thinking about Bali Hai I swear I heard another airplane fly overhead. 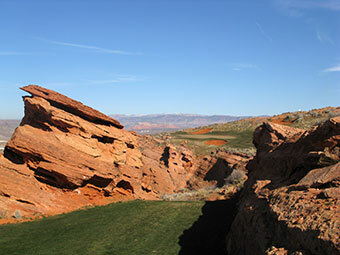 The fantasy South Pacific theme fits in with the pseudo world known as Las Vegas, but with airplanes flying overhead every five minutes, traffic barrelling down I-15 and the strip, and green fees north of $300 during prime season, Bali Hai comes up craps for many golfers. Atlantic City Country Club (NJ) - $225 for a weekend round here? At least at the casino you have a chance of not getting ripped off. 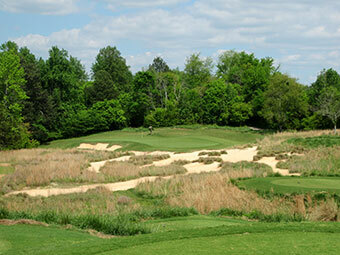 The 1999 Tom Doak renovation breathed new life into the flat topography while taking advantage of the views of Atlantic City, but Golf and Golfweek's ratings of ACCC as the #1 public access course in the Garden State may lull players into thinking they are in for a better experience than the course offers. Golf Club of Houston (Championship) (TX) - A common misconception I run into when talking to people is their assumption that PGA Tour courses are the best courses in the country. The reality is that proximity to a large metro area, access to sponsorship dollars, and politics have a lot more to do with where the PGA Tour plays than the greatness of the course does. The monotonous layout is overladen with bunkering and water hazards in an attempt to bring interest to an otherwise uninspiring parcel of ground. Carlton Woods is the clear choice in my mind as to where the Tour ought to be in Houston, but until there is a change, the club formerly known as Redstone will continue to host the PGA Tour and collect $170 green fees from players wanting to tee it up where the pros play. There is nothing better than finding a hidden gem golf course. The course layout, setting, and value add up to an experience where you can't seem to wipe the smile off your face. Below are those type of courses.